My lunchtime amble took me down Hockley today. It's a good area for shopping, people watching and events. Unfortunately none of those things happened whilst I was there, but I did notice this photograph on the pavement that had been thrown away for some reason. I casually picked it up to see if there was any names on the back. There wasn't. Only the word 'Agfa', just to prove that it was a real photo. 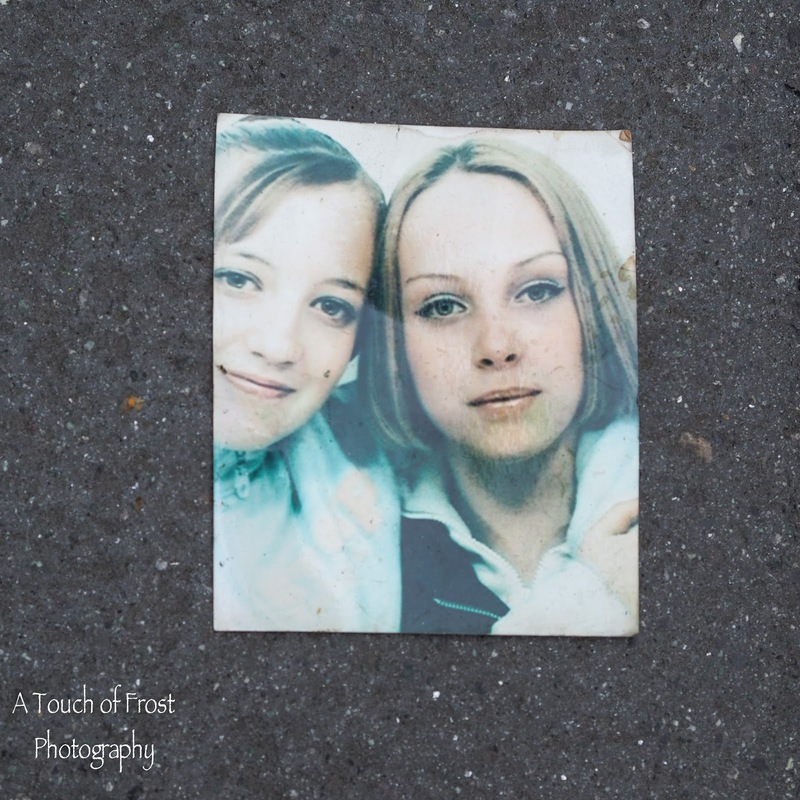 So I wonder who these two girls are, when it was taken, and how their picture ended up on the pavement of a Nottingham Street? They are probably school or college friends. Possibly taken several years ago, when thin eyebrows were popular. Now girls have brows that look like they were painted on with a bingo dobber. Thick lines. I don't think it's a good look at all, but women keep doing it. Why?